One of the best ways to keep your hardwood floors looking shiny is by sweeping or dust mopping on a daily basis.  While this may sound like a hassle, the process only takes several minutes and is well worth the effort! Be sure not to use vinyl or tile cleaning products on your wood floors as this may cause the wood to dull quickly and become slippery. You should also avoid a wet mop or a steam mop because water and steam can dull the finish and possibly even damage the wood! Keep your hardwood floors looking fantastic by vacuuming the floor each week using the bare floor setting on your vacuum. If your floors are in a high foot traffic area of your house or office, the dust and debris may accumulate rather quickly. While the same thing happens in your rooms that have carpeting, it is just a bit more noticeable on hardwood floors! The best types of vacuums for hardwood floors are canister vacuums that have a long and oval floor brush attached. Otherwise, an upright model is fine as long as you remember to turn off the rotating brush! Another great way to take care of hardwood floors is to use wood flooring cleaner once per month. Just spray a small area of the floor with the cleaner and then go over the area with a microfiber mop to pick up any dissolved dirt. Simply work your way across the floor and clean one section at a time. You can use any commercial wood cleaning product to mop the floor, but be careful that you don’t put too much liquid on the floor. Wipe up any excess water with a dry and clean towel as any standing water could potentially cause damage. One of the awesome things about hardwood floors is that they can be refinished, making them a great long term value! After 3 to 5 years, your floors may need a maintenance coat to address small scratches and other minor dents. A wood flooring professional can clean the floors to eliminate any contaminants, lightly scrape the floor and apply a fresh coat of finish. Even if there are large dents, damaged boards or deep scratches, the professional will be able to repair the damage without affecting the rest of the floor. Now that you know how to take excellent care of hardwood floors, check out all of our hardwood flooring products to find the perfect hardwood floor for your office or home! 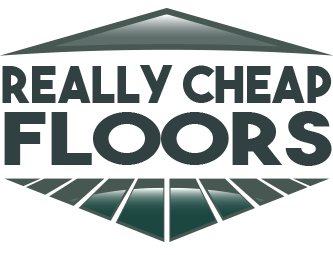 We would be delighted to answer any of your questions and look forward to doing business with you at ReallyCheapFloors.com!